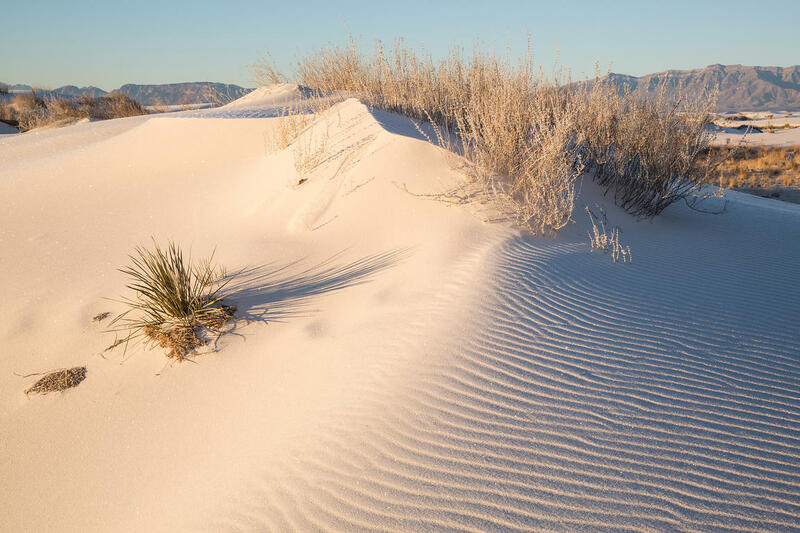 Clark Crenshaw Photography | Morning Light on a Frosted Sand Dune. Morning Light on a Frosted Sand Dune. Morning sunlight showing the ripples in the sand of a large dune.